The law is an essential tool for advancing women’s and girls’ rights and equality. 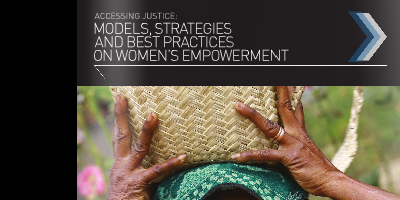 A robust and effective legal system based on the rule of law is central to assisting women to become equal partners in decision-making and development. Over the last couple of decades, the international community has invested substantially in programs aimed at strengthening the rule of law in developing countries. Despite this investment, the rule of law continues to mean very little for the vast majority of women and girls.